Photo: CLIFF LIPSON/©2011 CBS Broadcasting Inc. All Rights Reserved. The creators of How I Met Your Mother are getting ready to explore what happens after you lose your father. The duo, along with HIMYM exec producer Chris Harris, have set up the single-camera half-hour comedy The Goodwin Games at Fox as a possible fall 2012 series. It’ll take a look at three siblings who reunite with one another following the passing of their dad. Several networks were interested in the concept but Fox stepped up by agreeing to make a pilot (rather than just buying a script). 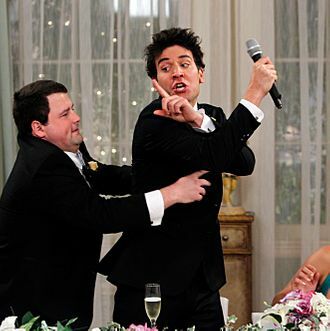 Bays and Thomas aren’t leaving HIMYM anytime soon, however: The show has at least two more seasons on CBS, and the duo are expected to stay actively involved with the series till its end.